The Best Safes in Redmond! Brother Lock & Key Redmond has been in the locksmith business since 1998. We have been serving the people of Redmond with our leading locksmith solutions for their safe needs. We provide our locksmith solutions for all types of problems related to safe. We provide our repair solutions for your old safes; we also provide our solutions for unlocking your safes in cases of lost keys or jammed locks. Our locksmiths are masters at the craft of safe and our safes are well appraised for their strong yet smooth designs. We provide all these services 24 hours a day, 7 days a week and 365 days a year. Looking for a Good Safe? When you decide to invest in a safe, that’s just the first step towards getting your precious belongings safe in a safe, but for that you will have a lot of brainstorming to do! What purpose do you want to buy safe for? Are you buying the safe for your residential use to safeguard your jewelry and precious art effects or are you buying it for your office to keep safe your important papers or cash? What type of things you want to safeguard in the safe? Is it only papers or is it jewelry or is it cash and art effects? Where do you plan to get it installed? Whether your want to keep it in your room, home, office, hall? Which type of safe you want to buy and so on. Brother Lock & Key is a name known for the safe solutions. 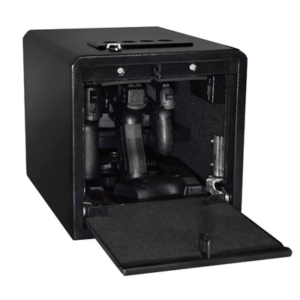 Our safes are exported worldwide due to their toughness and durability in performance. Local hardware stores would provide you with the most basic safes that may not even be tough enough to withstand a burglary. Locksmiths are always the best people to offer you safes. Their safes are made of the best and toughest steel. They are designed keeping in mind the best quality and performance for the customers. We Are The Best Locksmiths in Redmond! Our Locksmiths are highly trained to open any stubborn safes. They carry with them all kinds of tools required necessary for opening a locked out safe. Once we have a call from you, our team will make sure it reaches to you as soon as possible with a quick solution to save you time. For any locked out safe situations, give us a call on 425-272-9851 and we promise you will thank us later. Brother Lock & Key has always made sure to always hire the best talent. All our locksmiths are well experienced and know in and out of all kinds of locks and safes. They are masters of their craft and could unlock almost any kind of lock. They are highly professional and belong to a clean background. We believe in giving our customers the best of services.